Phew, quite exciting! I really really worked hard to have this finished in time, but they are here. The (paid) patterns for the christmas table runners. I have 2 versions, that do look a lot like each other, but are just a little bit different. One has a dark background, the other a light background. When I was working on the design of one of them, and I tried out how it would look if you just switched the light and dark color, it turned out that it was not very nice. So I made 2 versions where in both of them the patterns of the angels, the christmas tree and the star stand out well. I have a nice discount for you if you would like to have both patterns, see a bit further for that on this page. The colors do not show correctly in these pictures, it looks a bit better in the picture at the start of this blog. The left version is made with a gold and black glittering yarn (Alize Sal Simli), the right version with black and silver. That makes it look very luxurious. I will post it later when I manage to get better pictures. I made a video that helps you setting up the table runners. If you are already familiar with the Hooked and Locked CAL, than you will probably already manage doing interwoven or locking crochet, but the setup is a little bit different, so you will have some extra help. Look at the end of this page for the link to the video. The patterns are for sale on Ravelry. You can go to my shop here: https://www.ravelry.com/designers/the-craftsteacher. 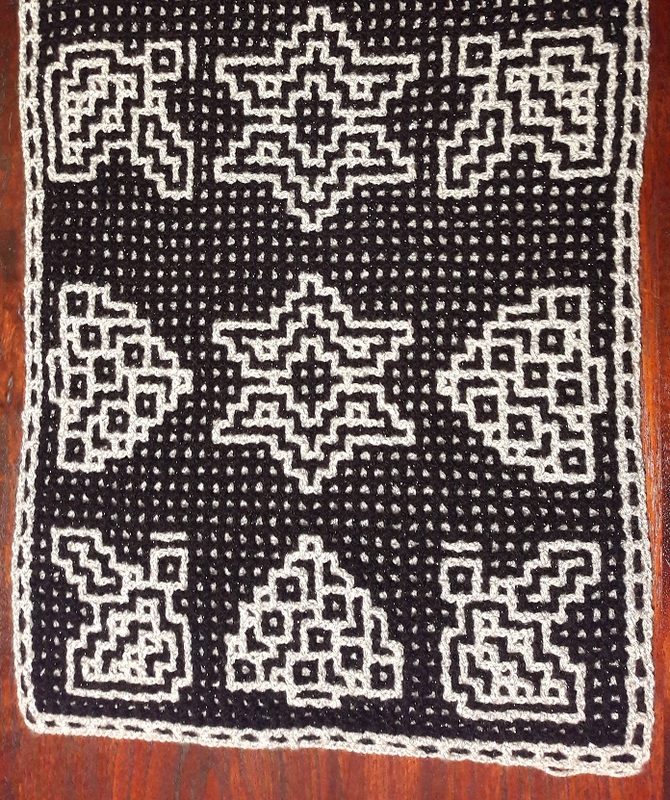 The pattern with the dark version can be found here: https://www.ravelry.com/patterns/library/christmas-table-runner-interwoven-crochet-light. 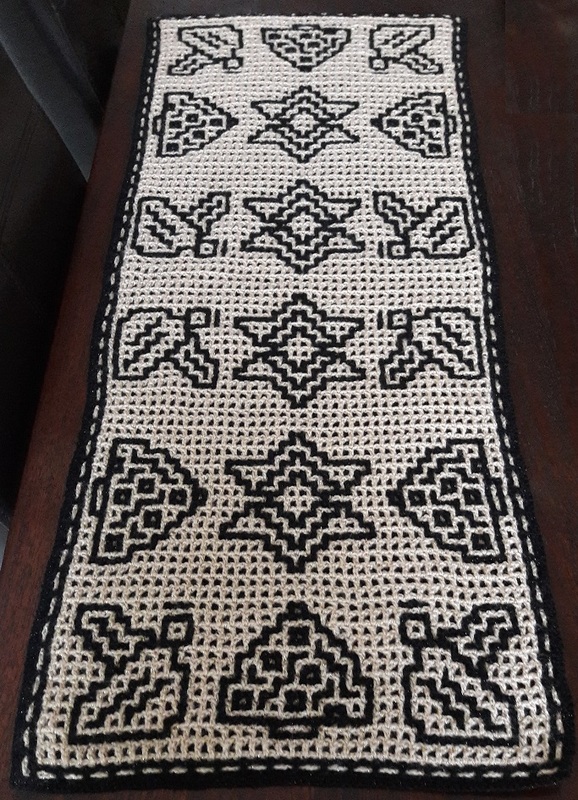 The pattern with the light version can be found here: https://www.ravelry.com/patterns/library/christmas-table-runner-interwoven-crochet-light. If you add both versions to your card you will automatically get a discount of 66% on the 2nd pattern. The patterns are available for download in both English as Dutch. I hope you will manage to finish it in time before christmas, and otherwise it will get christmas again next year, so you will be really really in time 🙂 . Lots of fun again with this!